As I sit here listening to Christmas music and admiring all the little twinkly lights on my tree, it’s hard to imagine that it’s still November…and equally as hard to believe that tomorrow is the first day of December! This year has absolutely flown by. 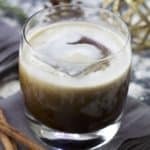 But as December closes in on us, I thought a holiday drink would be appropriate, so I whipped up this Skinny Gingerbread White Russian. 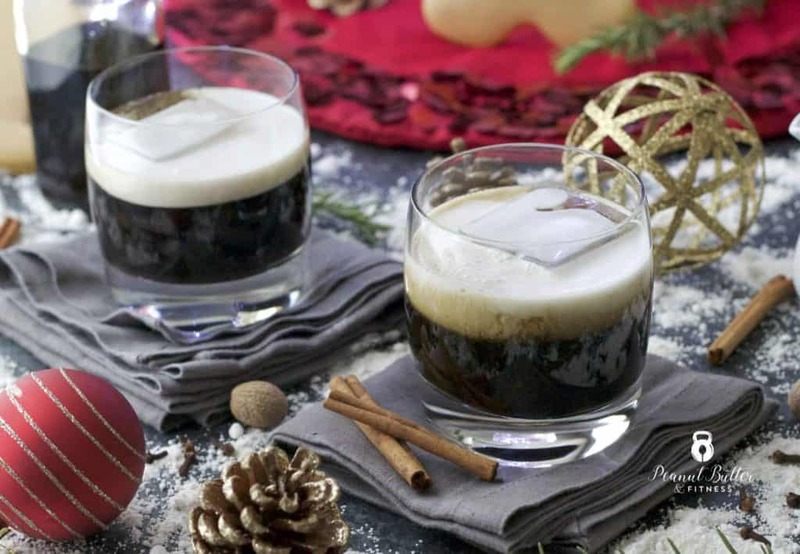 A traditional White Russian calls for 1 part vodka, 1 part Kahlua, and 1 part heavy cream. Well, if you serve one about the same size as what I made here, that drink would clock in at around 500 calories and 20 grams of fat. Eesh. I don’t know how The Dude didn’t turn into The Huge Dude. (That’s a Big Lebowski reference for anyone who doesn’t get it ;)). 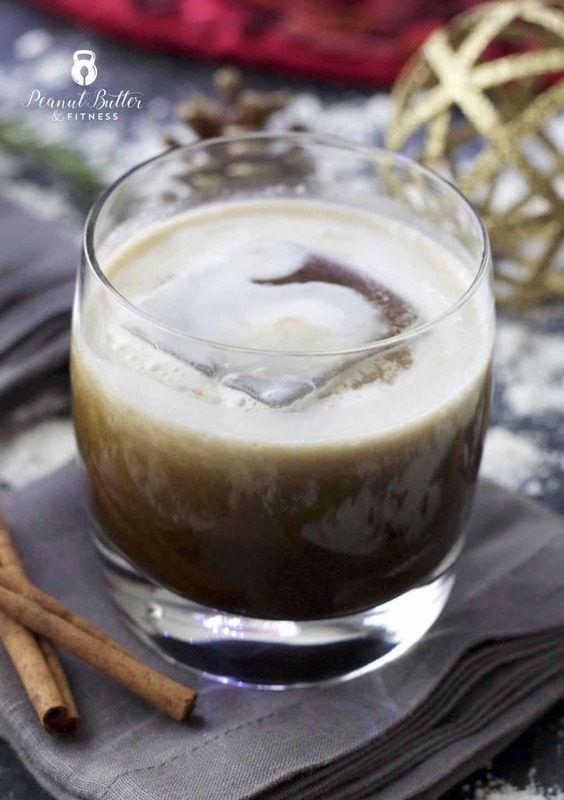 I decided to lighten things up while still getting all of that classic flavor, and then added some homemade gingerbread syrup! 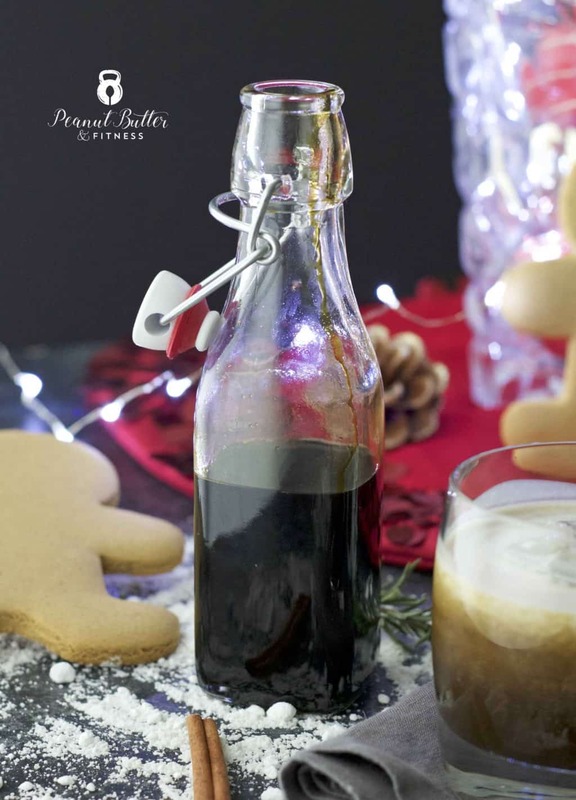 It’s a really easy molasses based syrup that’s boiled down with ginger and spices. 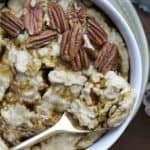 Bonus – it’s super versatile this time of year and you’ll see it in a few other recipes over the coming weeks…think ice cream, waffles, protein drinks, etc. 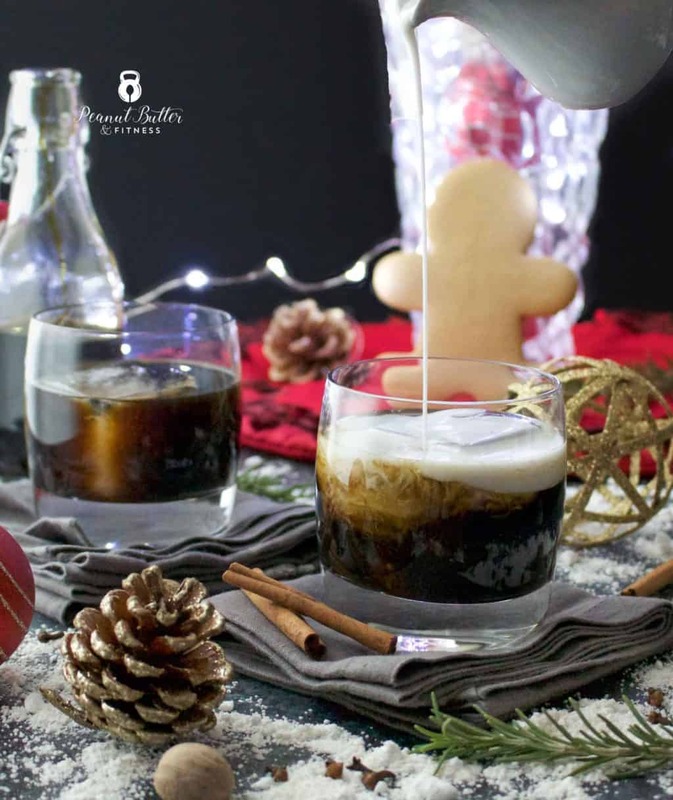 Add coffee, rum, vodka, gingerbread syrup, and stevia drops to a serving glass with ice. Top with coconut milk. 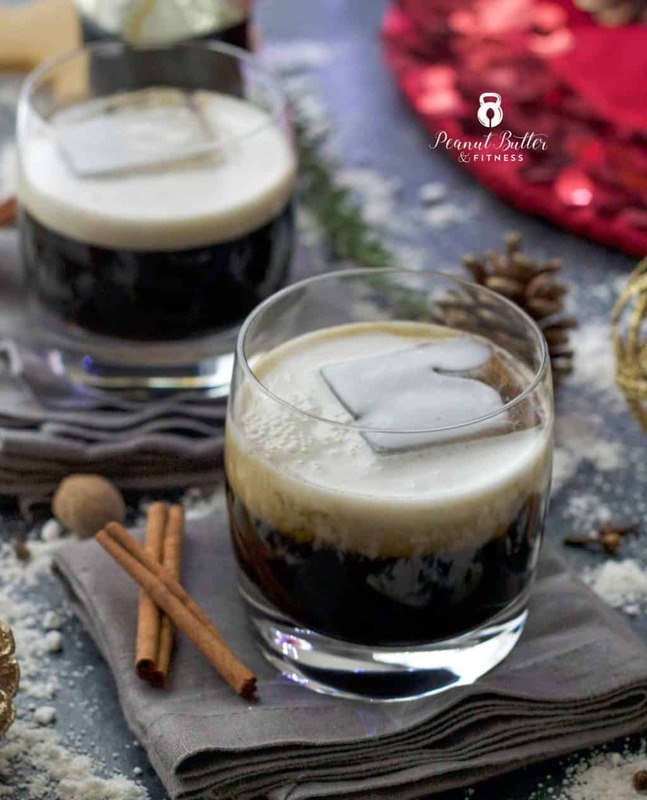 For my macro trackers out there, I wasn’t able to create a My Fitness Pal barcode for this recipe since I would have had to decide for you whether to put the alcohol calories in as carbs or fats – that’s up to you! The 12 carbs listed here are just for the sugar in the syrup and the coconut milk. For my non-macro trackers, here’s more info on what I’m talking about. Add all ingredients to a small pan and bring to a boil over medium heat. Lower heat to low and simmer for 20 minutes. Strain out spices (if using whole spices instead of ground) and allow to cool.